A versatile fence that is resistant to rust, highly durable, and provides easy upkeep on an economical budget. Available in many colors and styles. A traditional option that provides noise reduction and better privacy and security. Royal uses only the finest timber - never sourced from big box retailers! A strong, durable fence that exceeds expectations with high quality and unmatched longevity. Very resistant to harsh weather conditions and available in many models. 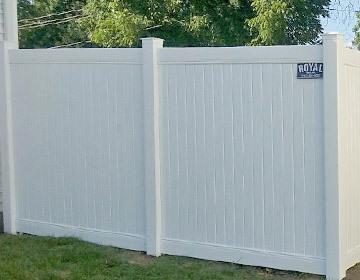 This adaptive fence can perfectly follow the grade of your property’s yard. It is maintenance-free and resistant to discoloration from sun exposure. 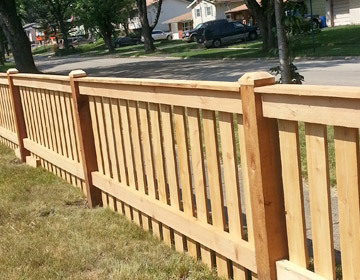 Take a moment to browse our collection of fencing projects for a sample of our superior craftsmanship and attention to detail! 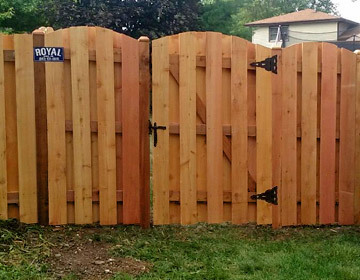 With over 30 years of service in the fencing industry, Royal Fence can enhance your property’s curb appeal with high quality materials and workmanship that’s guaranteed to exceed your expectations. Whether you need a fence installed or replaced, Royal Fence promises to deliver exceptional project results that will last for years to come. 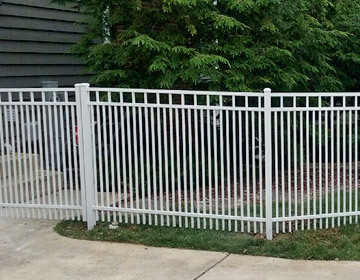 Our materials for brand new fencing projects are provided by local suppliers that deliver only the best in quality, including Master Halco, Merchants Metals, Eagle Fence, and more. 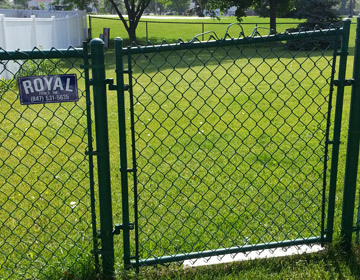 Royal Fence is fully insured and bonded throughout our service area for your peace of mind. We also maintain the highest safety standards by using J.U.L.I.E. to ensure no underground cabling is damaged or disturbed during our professional work.